A Viva Wyndham Playa Dorada timeshare resale is the perfect choice for you if you prefer to vacation in comfort and style. This all-inclusive Dominican Republic resort invites you to enjoy elegant surroundings and pristine white-sand beaches. Whether you want to explore culture or relax in the sun a Viva Wyndham Playa Dorada fractional ownership is for you. One of the best reasons to seek Playa Dorada timeshare deals is the resort's location. The Dominican Republic has it all when it comes to natural beauty and gorgeous weather. No matter when you visit you'll be able to enjoy the beach, water sports, the famed botanical gardens and more. Plus, the resort is really close to Puerto Plata and the local airport so you can begin your vacation right after you arrive. Choosing Viva Wyndham Playa Dorada timeshares for sale lets you make the most of the city's beachfront boulevard with its bicycle trails while also taking in historical attractions like the ruins of the European settlement founded by Christopher Columbus. This all-inclusive property is part of the Playa Dorada hotel complex. Guests will find that everything is placed at their fingertips when they choose Wyndham Playa Dorada resales. Golfers won't be able to resist the challenging, onsite golf course. The links were designed by Robert Trent Jones and are considered one of the finest on the island. Various shops and dining experiences are available without ever leaving the resort complex. Guests love the diverse offerings at the buffet while other eateries offer elegant or casual a la carte dining. The remarkably well-equipped fitness center is just what guests need to stay in shape while Jacuzzi tubs and massage services are available to help with relaxation. Scuba diving and snorkeling are available at the beach, and tennis players will want to schedule at least a couple of games on the resort's courts. A Kid's Retreat and Junior's Club keep guests between the ages of four and 16 well entertained. A Playa Dorada timeshare resale is a good deal for every member of the family. People who select Viva Wyndham Playa Dorada resales will be delighted with the accommodations. The resort features 204 guest rooms, 120 of which are categorized as junior suites. Rooms and suites accommodate up to four guests and have tiled floors and air conditioning for the comfort of guests. Many of the rooms offer stunning views of the shoreline and the ocean beyond. Private balconies that are complete with tables and chairs are the perfect spots for relaxing and enjoying the sunset. With plenty of room to stretch out it's easy to see why Playa Dorada timeshares for sale don't stay on the market for long. When someone else decides to sell a Playa Dorada timeshare you have a rare opportunity to join an exclusive club. If you buy a Viva Wyndham timeshare, you'll be providing your family with a lifetime of wonderful vacations. 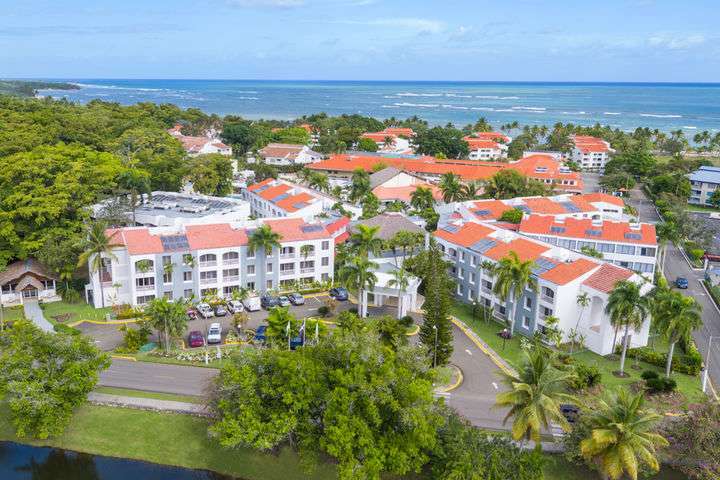 A Viva Wyndham Playa Dorada fractional ownership can be yours when you contact Premier Timeshare Resale.